Freebie, newsletter kit (new), BF sales and more! Hey all you lovely peeps! For those of us celebrating Thanksgiving in just a couple of days, I hope you have a wonderful time with family and friends. I know the holidays can bring a mixed bag of emotions depending on what’s going on in your families. This will be our second without Mom. I’m sure we’ll have our moments, as we did last year, of both happy and sad memories that will bring smiles and tears. I hope you have all peace, happiness, love, joy, and maybe a little forgiveness or mercy if need be. First, I have a new mini kit to offer just for signing up for my Newsletter! I am trying to change them every few months and for those of you who have remained signed up, you’ll get it as well through a link in the Newsletter. I only ask that you don’t share the link with others as this is my personal “thank you” for staying signed up. I only send out a NL once a month or so, and I try to keep them short. I decided to make two quick pages out of the kit just to show you what can be done with a micro mini kit! They are available in my Scrappy Bee Shop and … wait for it … they will be on sale with everything else in my shoppe for Black Friday! Scrappy Bee will be having a store wide Black Friday sale, with most being throughout the weekend as well. Sales will vary by designer. I hope you’ll visit not only my little shoppe, but the other designers as well. There are quite a few talented designers there! I also have a new kit released last week called “I Am”. The kit was inspired by a little monthly magazine that we get at the house. I think it must have been temporary because I haven’t gotten one lately. Anyway, this little mag was filled with a positive attitude and I thought what a cute kit it would make! So, a kit it became! It’s perfect for both boys and girls, exudes personal positivity. Is that a word? Anyway, it has bright, bold colors and will be included in my Black Friday Sale. 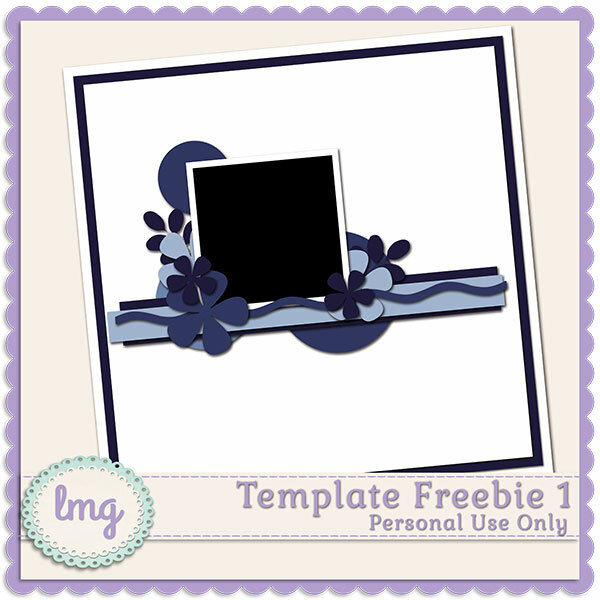 Last, but not least, I finally have a freebie for you! It’s a layout template and the zip file has both .psd and .tiff formats as well as the individual .png files. This is for personal use only please, and I hope you find it useful. I haven’t made many so please let me know if you need any help. That’s it for now, I hope you all have a very Happy Thanksgiving! Once you sign up, you’ll receive an email for verification and the link. Here are the quick pages I made – you can do a lot with just a few things! Available in my Scrappy Bee Shoppe. 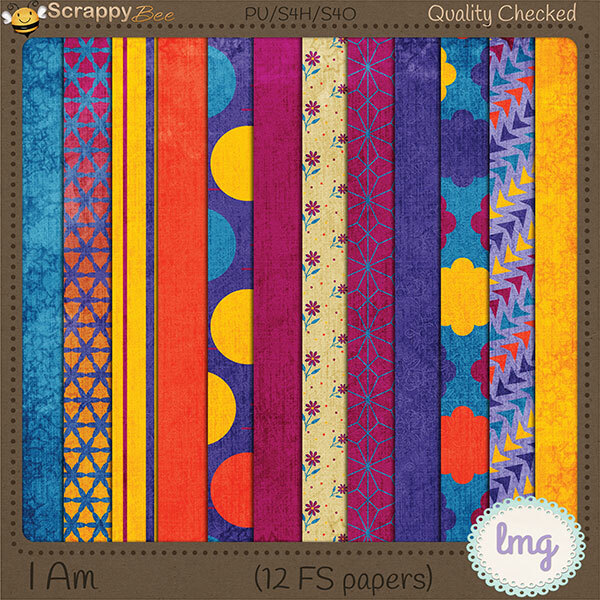 Here is the “I Am” kit available at my Scrappy Bee Shoppe! Get the whole kit or just the papers. Download it from Media Fire. DSD Sales and a new kit release!